We are involved in the Manufacturing and Exporting of Flow Meters that are integrated with advance technology for better performance. These Flow Meters are widely acclaimed by the clients for their distinctive features. 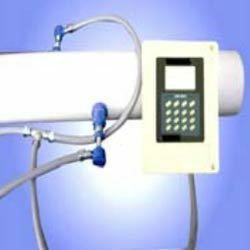 We offer Flow Meters in diverse specifications to cater the needs of the domestic as well as international market. We also deal in Automation Projects and Export Qurery. We are looking mainly for Export Queries. Incorporated in the year 2007, in Ahmedabad (Gujarat, India), we “Soham Automation” are reputed organization engaged in manufacturing, exporting and supplying premium quality array of Data Logger, Chart Recorder, Metal Analyzer, Leak Detector, Digital Panel Instrument, Temperature Transmitter, Flow Control Valve, Flow Meter, Flow Switch, Level Indicator, Pressure And Humidity Sensor, Control Panel, Flameproof Instrument, Differential Transmitter, Signal Converter, Process Controller, etc. The offered products are manufactured using advanced technology and high quality raw material in accordance with the international quality standards. These products are widely used in food industry, sugar industry, textile industry, dyes intermediates, drugs industry, fertilizer industry, soil industry, etc. To complete the various demands, offered products are available in several specifications. Known for their unique feature like superior functioning, easy usage, compact design, durability, high accuracy and less maintenance, these products are highly demanded in the market.